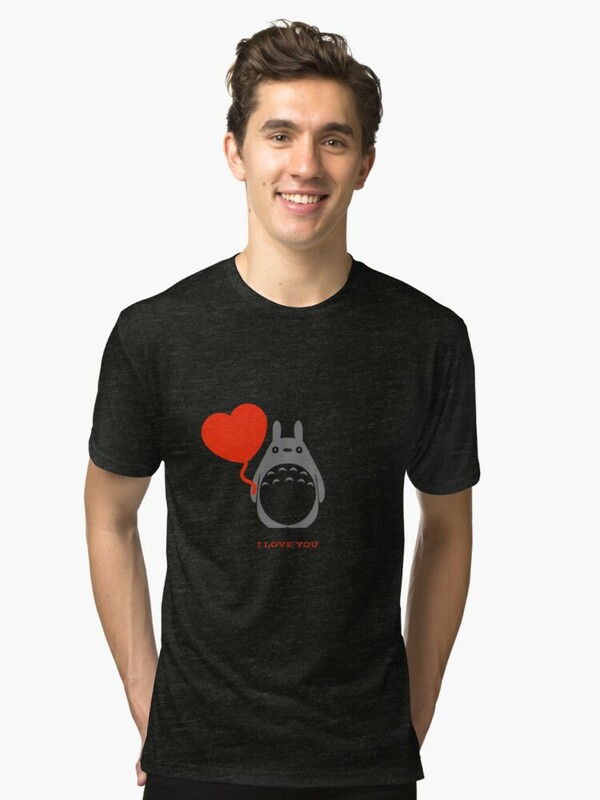 Find your Favorite- Totoro Bento Box Set! 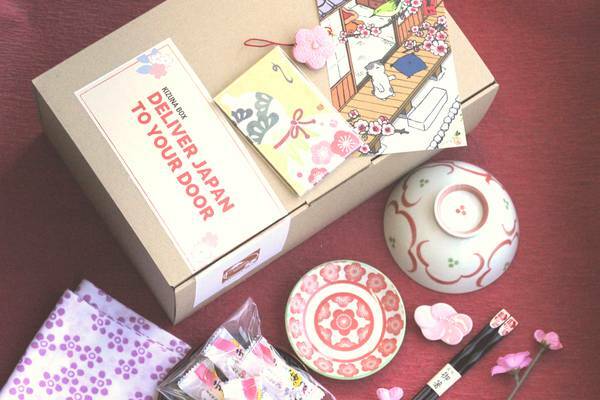 Home » Studio Ghibli Decor » Totoro Bento Box Set- Carry your Lunch in Adorable STYLE! 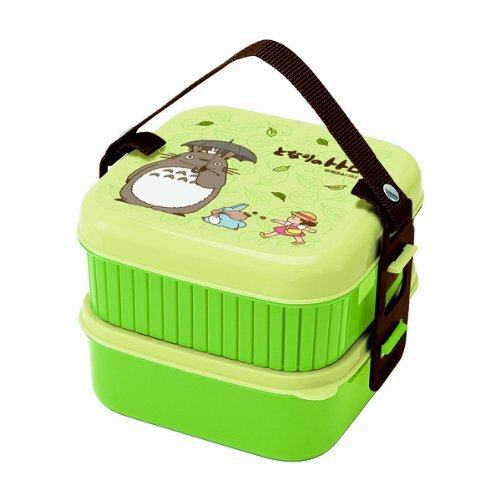 Brown Bagging is so last century… today anyone who wants to be green, and cool at the same time… carries their lunch in a Totoro Bento Box Set! It’s best to have a Bento Box that suits your personality. 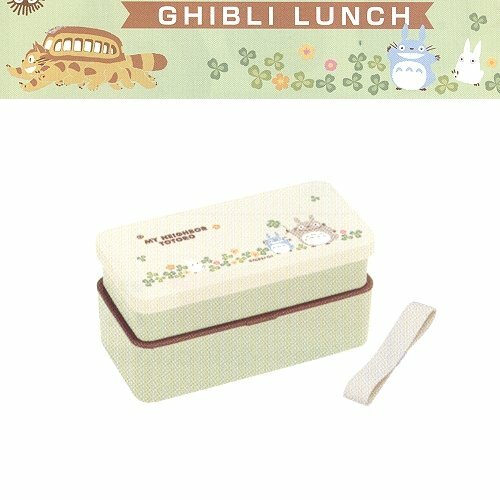 For fans of Hayao Miyazaki and Studio Ghibli, you can get a great Totoro Bento Box. 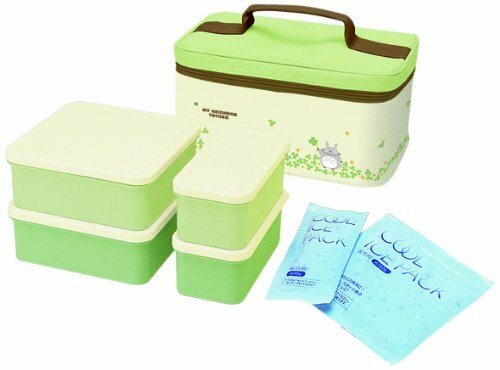 Bento Boxes are these great lunch boxes from Japan… a hard case holds food in separate departments. They are cute as can be… and can be used over and over again. Some are insulated to keep food cold or hot… others can be put in the microwave, so you can warm your food when it’s time to eat. Stylish, fun, practical… and oh so adorable. I know you will find the perfect Totoro Bento Box Set to suit your lunch style! Then fill it with your delicious lunch from home (saving money and eating healthy!). 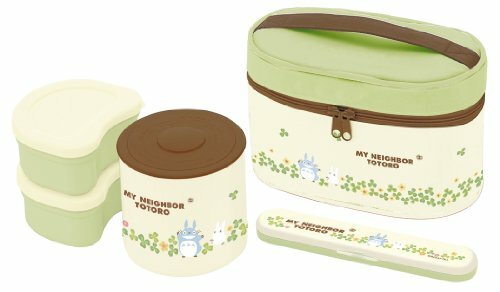 2 Carry Your Totoro Bento Box in a Cute Lunch Bag! 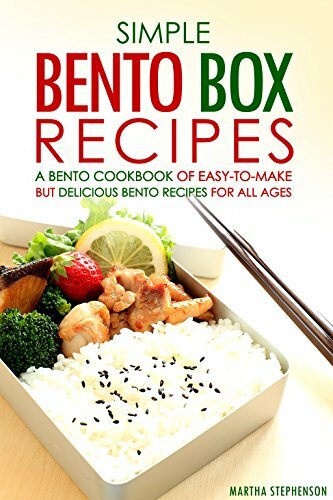 3 Need some Bento Recipes? One of the levels is closed completely, the other has air slots (so, forget about putting soup in it). Both parts have their own lid… and can be used separately. BPA free plastic makes this set a safe place to store your lunch! Pack up your sandwich and some fruit, and you are good to go! 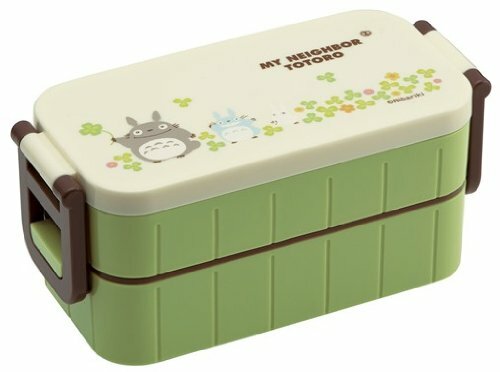 This cute 2 Tier Totoro Bento Box Set comes with chopsticks and there is room for an icepack to keep your food fresh. The box measures 7 inches long, and is 3 1/2 inches deep by 3 1/2 inches across. Each box keeps 300 ml of food safe and looking good, until you are ready to eat. Add the cotton lunch purse to keep your Bento Box clean, and make it much easier to carry. The BPA plastic is made in Japan. This 2 compartment Bento Style lunch box has a 650 ml total capacity, with a divider down the middle. The divider can be removed. The box is a good size for a large snack or a medium lunch. It seals tight, so you can carry it in a bag. Remember to wash this box by hand so that it doesn’t get warped in the dishwasher. You can, however, put it in the microwave! So go ahead and bring leftovers, because you will be able to warm up that lasagna. 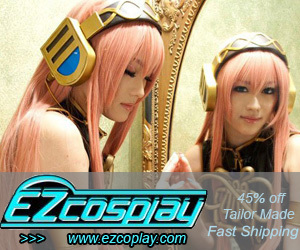 Side clips seal it up tight, so no worry about leakage. All those cute compartments to fill with all your favorite treats! This Totoro Bento Box Set measures in at 6″ x 3.25″ x 3.25″, volume: 280ml + 360ml, so it’s big enough to keep your tummy happy all day. I love the traditional styling. The boxes are held into together with a wide elastic. 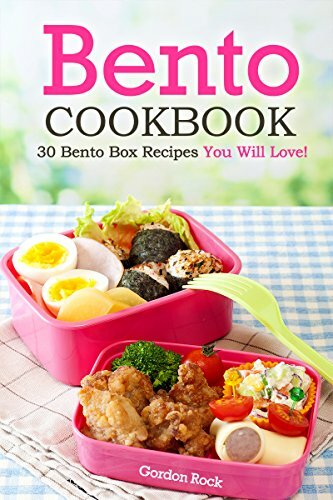 This Bento Box set has 3 food containers…. a round thermal one that holds 240 ml, and two 160 ml microwavable boxes. Also included is a coordinating fork and fork holder. All nest together in a cute Totoro Bag, 4 inches 7 inches wide, 5 inches tall and 4 inches deep, that zips shut. Seriously, it covers all of your lunch needs… and keeps them cool or warm. What more can you ask? Any Totoro fan would love to get this Super Totoro Bento Box Set as a gift. This is a Delux Totoro Bento Box… perfect for taking along for events, picnics or weekend retreats. You can pack loads of extra snacks and food into the 4 containers…. 2 hold 1.3L, and the other 2 hold 600 ml. You also get a two ice packs that help keep the food cool in the thermal zip up bag. The sweet bag, with Totoro dancing around on it, measures 11 inches wide, 7 inches deep and 5 inches tall. 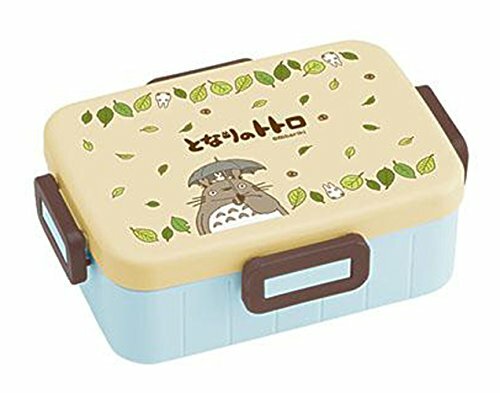 This is a great Totoro Bento Box Set for anyone who has to carry loads of food. 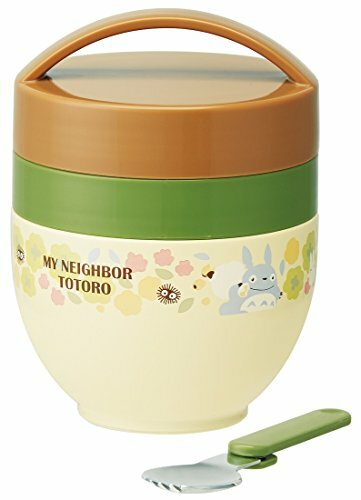 I love soup on a cold day, and this Totoro Bento Cafe Bowl is PERFECT for taking it with me. It has 2 sections… a larger thermal container, perfect for keeping my soup warm. And a small container for anything else I want to take along… The set also has a folding spoon! The three levels of container can be used individually, or stacked up for a tower of 3. Different sizes make it perfect of holding different portions… the bottom section is the largest, holding 200ml, the top 2 hold 140 ml each. Rice on the bottom, veg and meat/egg in the top.. and you have a complete meal. 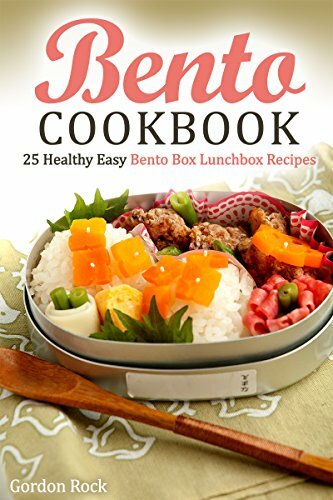 The cute images on the outside make this a super fun Bento… and because it’s longer and narrow, it slides into the side of your backpack! 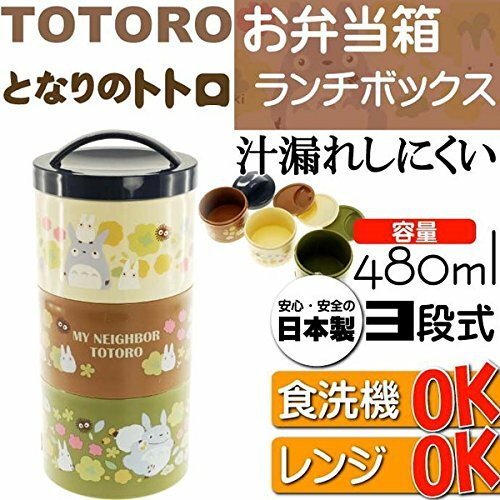 Carry Your Totoro Bento Box in a Cute Lunch Bag!